Variety Sambucus Nigra or Black Elderberry. Many sub-species. Tree ID Native to the UK. A small, fast growing deciduous tree with a short trunk and cork-like bark. Grows virtually anywhere with enough light. 3m-15m in height. Can live for 60 years. Leaves have 5-7 leaflets in pairs with a single end leaflet and are mildly serrated. Flowers are borne on large heads 10-30cm across in late-spring. Each individual flower has 5 petals and a delicate smell. Berries develop from these flowerheads in early-autumn and have distinctive red stems. Dead elder branches give rise to an edible fungus called Wood Ear. Harvest Safely identify your tree before harvesting. Flowers are ready from late-spring to mid-summer. Berries start to ripen in early-autumn and are very popular with birds – not suitable for eating unripe or raw, but delicious when cooked. Biodynamic tips Best cultivated on flower and fruit days. Plant & prune on a descending moon. Harvest flowers & berries on an ascending moon for better flavour and storage potential. Natural remedies Flowers & berries have been used for hundreds of years to treat conjunctivitis, cold & flu symptoms, congestion, arthritic pain, upset stomachs & for detoxification. Lotions can be made to soften, tone & restore the skin, relax sore muscles & sooth burns & rashes. Berries are extremely high in Vit C with high levels of antioxidants, vitamin A, potassium, iron, vitamin B6, fibre & betacarotene. Tree ID: Elder is a small tree or bush that grows both in the wild and as an ornamental garden specimen of which there are many varieties with different coloured leaves, flowers and berries. 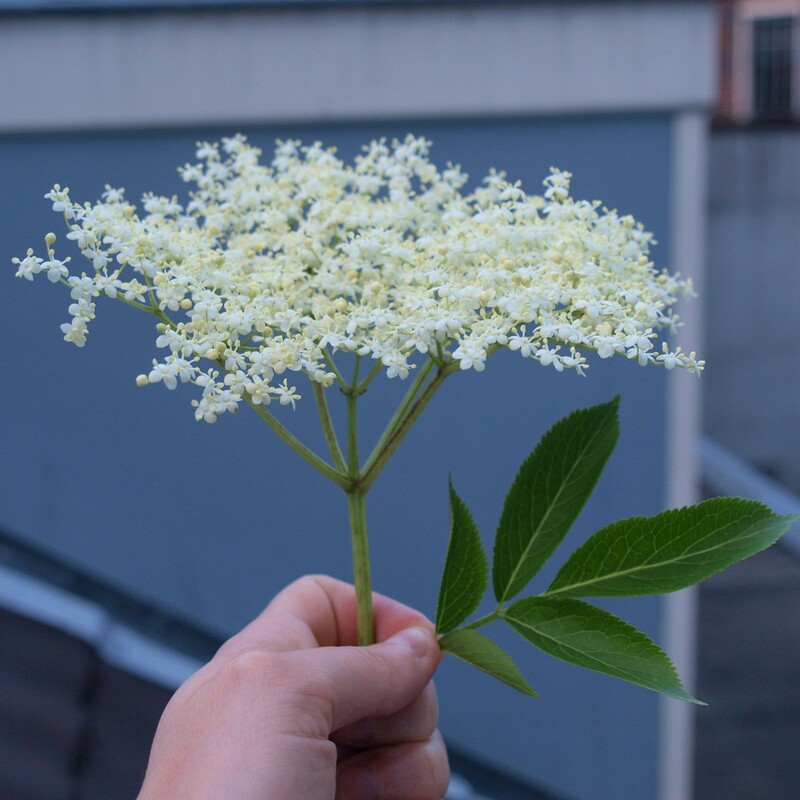 The one we know and love is the Sambucus Nigra or Black Elderberry. The Black Elderberry is native to the UK and grows freely wherever there is enough light – sometimes viewed as a bit of a weed! A fast-growing, deciduous tree with a short trunk and cork-like bark. Leaves have 5-7 leaflets in pairs with a single end leaflet and are mildly serrated. Flowers are borne on large heads 10-30cm across in late-spring. Each individual flower has 5 petals and a delicate, unmistakable smell. Berries develop from these flowerheads in early-autumn and have distinctive red stems. Can live for around 60 years. Dead elder branches give rise to a delicious edible fungus called Wood Ear. Ranging in height from small 3m bushes to 15m trees, but all with the distinctive purple-black autumn berries. Harvesting: Be sure to correctly identify your tree or bush BEFORE harvesting the flowers and berries. Take a detailed foraging guide book or our printable ‘Tree ID’ or go with someone who knows what they’re doing. 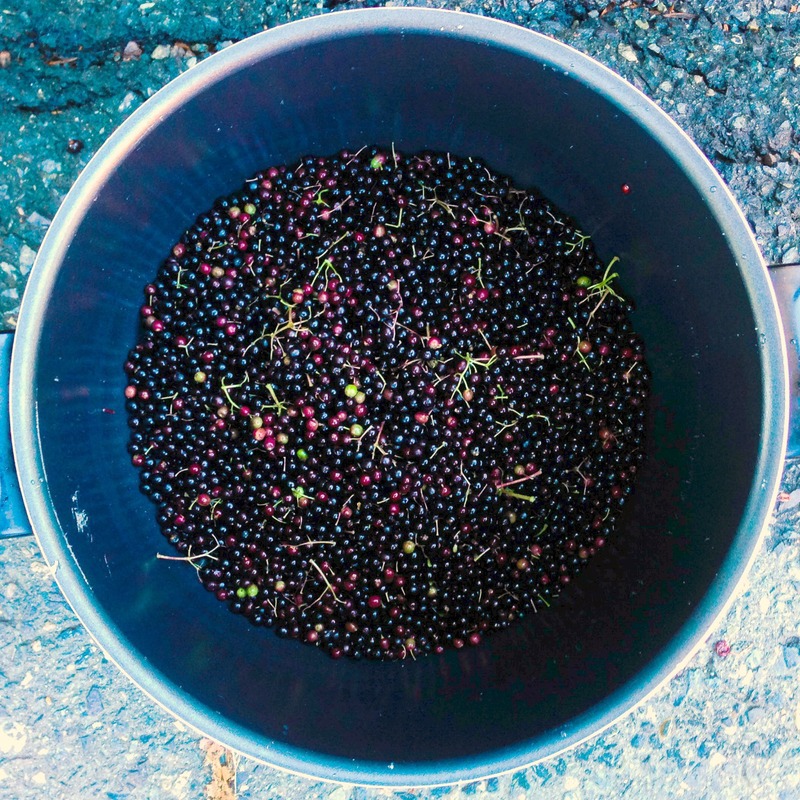 Caution: The berries must be cooked before eating – do not eat them raw and only pick the ripe, blue-black ones. To harvest the flowers, cut a few inches below the flowerhead and gather in baskets or bags. Best done on a sunny day, choose dry heads that are in full flower, creamy-white in colour and laden with pollen! Make sure you leave some on the tree to ripen into the amazing autumn berries. Harvest the berries in the same way as the flowers, just cut a few inches below the head. Only pick ripe, blue-black berries. They are not suitable for eating raw, but are delicious when cooked. Birds adore them so remember to leave some on the tree for your feathered friends! The smaller branches of the elder tree are also really useful. Filled with a pithy white ‘foam’, these stems are easy to hollow out and brilliant for blow-pipes, musical instruments, insect hotels and birch-tapping! Simply hollow out with a metal skewer or tent peg. Suitable for cultivation on flower and fruit days. Plant and prune your tree on a descending moon to encourage fantastically strong roots. Harvest the berries on a fruit day when the moon is ascending and all that fantastic energy is being drawn into the berries. They’ll taste better and store longer. 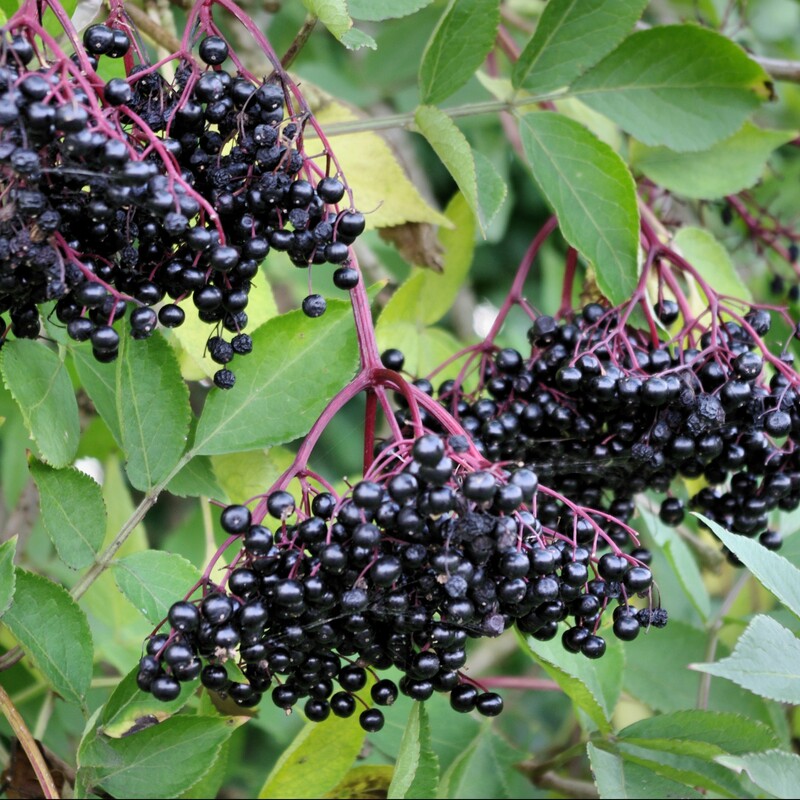 Natural remedies & health benefits: The flowers and berries of the Black Elderberry tree have been used medicinally for hundreds of years to treat conjunctivitis, cold and flu symptoms, allergies, congestion, arthritic pain, respiratory complaints, upset stomachs and for detoxification. The flowers can be made into antiseptic washes and poultices to treat wounds, as well as eye washes for conjunctivitis and eye inflammation. They can be steeped in oil and used to relax sore muscles, soothe burns, sunburn and rashes. 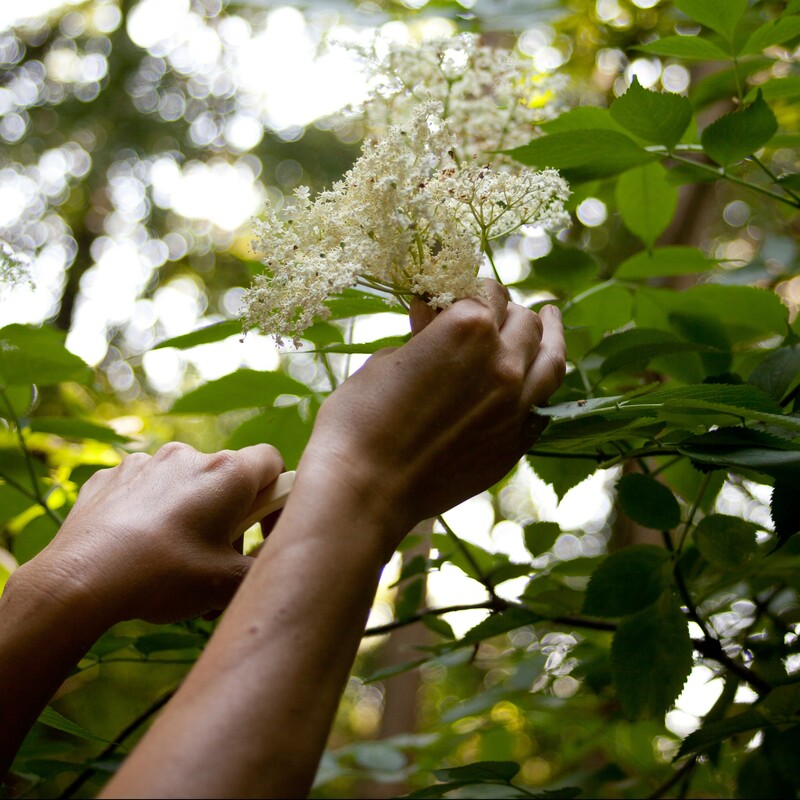 It’s said that distilled elderberry flower water can soften, tone and restore the skin. 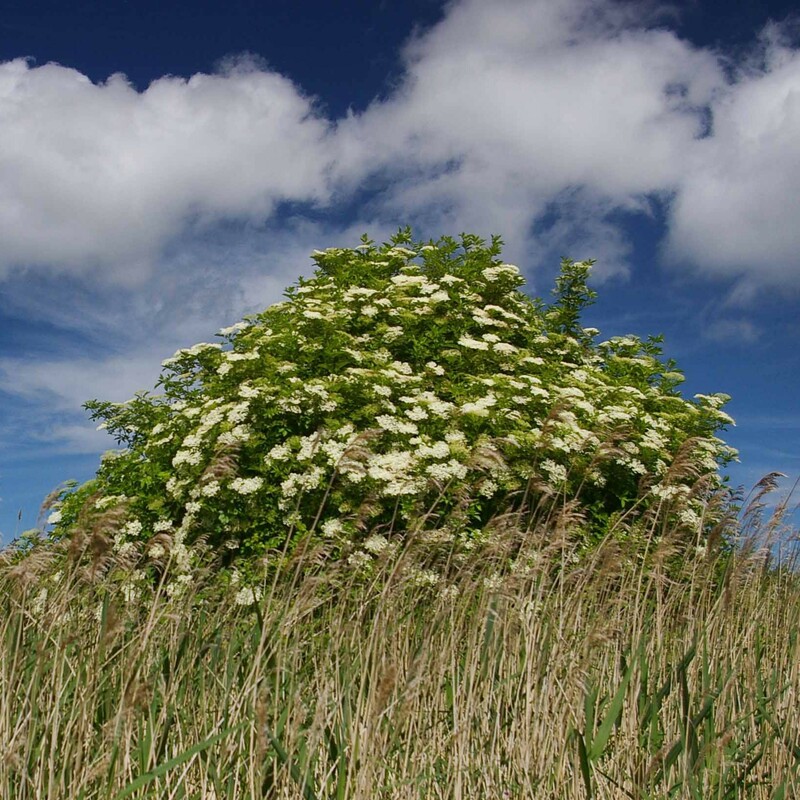 Washing the face in dew gathered from elderflowers was believed to enhance and preserve a woman’s (and presumably a man’s) youthful beauty! The berries are extremely high in antioxidants and infection-fighting Vit C with potent anti-inflammatory and antiviral properties. They also contain masses of vitamin A, potassium, iron, vitamin B6, fibre and betacarotene. 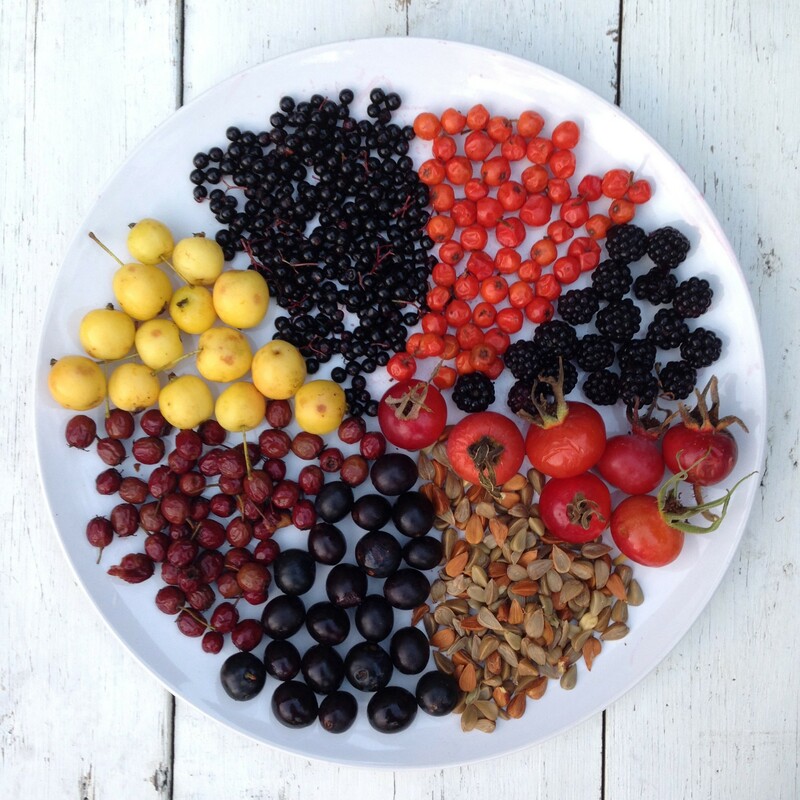 An amazingly healthy freely foraged food. No wonder the birds love them! Yay for Elders. So glad they’re your ‘E’. And they smell so beautiful too. Such a GORGEOUS post.